We are committed to using cleaning products that are healthy for you, your family, your pets and the environment. Green Seal certified products must meet many standards, including no toxins, no carcinogens and nothing corrosive to teeth or skin. In our ever changing world many people are taking steps to save our earth. Cleaning your home with non-toxic, non-chemical based products is a step in the green direction. After all, it is the sum of the smaller acts that gives way to the greatest results. 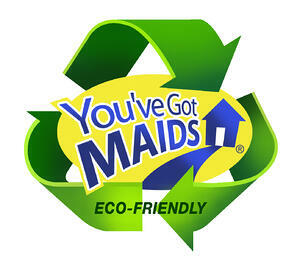 On behalf of the staff of You’ve Got MAIDS® thank you for partnering with us in our vision to protect our planet.